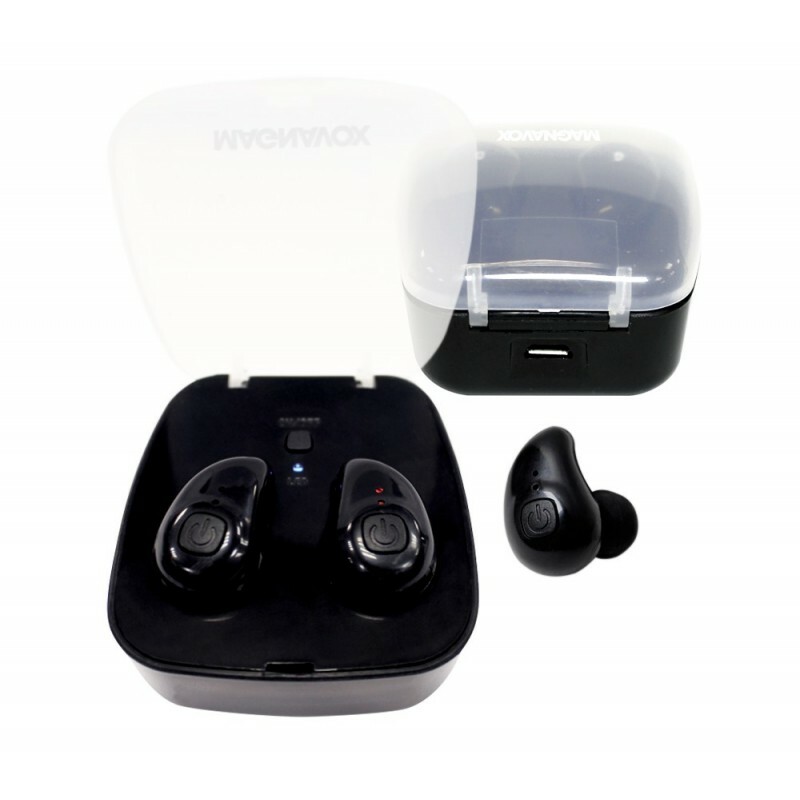 Magnavox MBH530 Mini Wireless Bluetooth Earphones are truly compact, they come in a protective charging case to make sure you can recharge your headphones on the go! 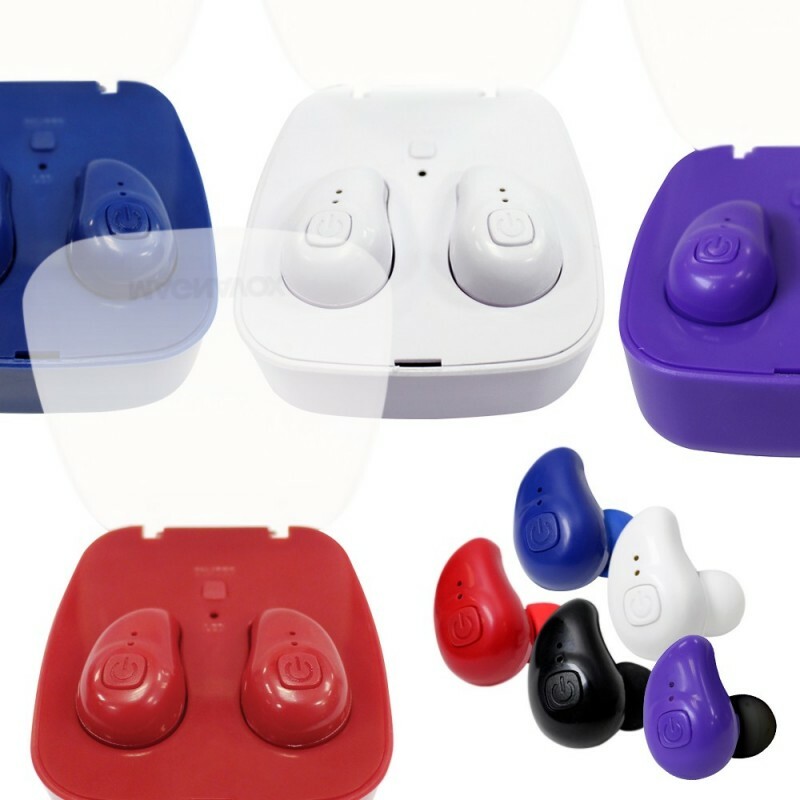 These earphones come in a protective case that has the power to recharge your headphones when their battery drains. They come with up to 4 hours of play time before they need to be recharged. You can sync both earphones to your smartphone to use in Partner Mode or only link one individual earphone to use in Solo Mode. Available in colors: Red, White, Blue and Black.